ECDPMPublicationsSuspension of Development Cooperation: An Instrument to Promote Human Rights and Democracy? Suspension of Development Cooperation: An Instrument to Promote Human Rights and Democracy? Hazelzet, H. 2005. Suspension of Development Cooperation: An Instrument to Promote Human Rights and Democracy? (ECDPM Discussion Paper 64B). Maastricht: ECDPM. This paper looks at the European Union’s suspension of development cooperation with countries perceived to have violated the principles of human rights, respect for the rule of law and democratic principles as laid out in the ACP-EU Partnership Agreement. In particular, it answers the following questions: Under what conditions did the EU suspend development cooperation in response to such violations between 1989 and 2001, and what factors have contributed to the success (increased respect for human rights, the rule of law and democratic principles) or failure (continued violations) of this instrument? These questions are relevant for policymakers, since the application of Article 96 of the Cotonou Agreement (Article 366a in the Lomé Convention) has led to considerable tension between the EU and the African, Caribbean and Pacific (ACP) countries over the past years. 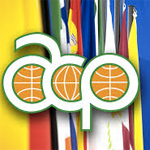 Whereas the EU tends to see Article 96 as an important and potentially positive instrument to enforce the “essential elements” of the Cotonou Agreement (namely, respect for human rights, the rule of law and democracy), the ACP side tends to view use of the article as a “sanction” and “punishment” which is not conducive to overall relations between the two sides. The ACP countries much prefer to discuss issues of concern in relation to the essential elements in the framework of Article 8 in the spirit of dialogue.